According to traditional medical wisdom, if you want to avoid kidney problems, you'd better avoid tea. Tea has high oxalate content, and since the most common type of kidney stone builds on oxalic acid, drinking tea is verboten for kidney stone patients. But recent research suggests, though it seems counterintuitive, that green tea actually helps minimize the risk of kidney stones. About five percent of people worldwide get kidney stones, and those people do suffer. Kidney stones can be extremely painful. They occur when crystalline masses form in the urine, and in 80 percent of stones, those crystals are based on oxalate combined with calcium. If large enough, the stones can create agonizing obstructions in the urinary tract and block the flow of urine out of the kidneys. Symptoms, in addition to plain old agony, can include swelling of the kidneys, nausea, vomiting, blood in the urine, and fever. Fortunately, the urine normally contains a substance that breaks down the stones, and so most stones remain small and just pass out of the body without major event. But some people lack enough of the dissolving factor in their urine, plus, certain types of food interfere with the normal process of dissolving stones or actually add to the stones. Tops on the list are foods high in oxalic acid, such as spinach, beans, tofu, chocolate, wheat brain, nuts, strawberries, coffee -- and tea. In fact, coffee and tea typically top the list of dietary restrictions for the stone sensitive, so the discovery that green tea may actually prevent stones comes as a surprise. It seems that green tea binds to calcium oxalate, creating flat crystals that break down more easily than other shapes. The more green tea the stones are exposed to, the flatter the stones become. The research team that discovered the phenomenon comes from Sichuan University in Chengdu, China. They grew calcium oxalate crystals and then studied the effect of exposing the crystals to various conditions and substances. "Our results suggest that drinking green tea might be a good habit for the prevention of human stone formation," says head researcher Xudong Li. Previous studies also noted the beneficial action of green tea on kidney stones, but researchers couldn't make sense of the finding, and so tea held its place on the forbidden list for kidney stone victims. A study published in the Annals of Internal Medicine in 1998 reported on a study of 81,093 women aged 40 to 86 years of with no history of kidney stones. The study found that for each cup of green tea consumed daily, the subjects reduced the risk of kidney stones by eight percent. A parallel study found that for each cup of tea that men drank, their risk of kidney stones went down by a whopping 14 percent! Again, these findings confounded scientists, since the levels of calcium oxalate in urine increased as subjects increased their intake of tea, and as stated earlier, high levels of oxalates usually mean more vulnerability to kidney stones. But this latest research finally sheds light on the green tea factor. Oxalate level isn't everything -- it's how it affects the crystals that counts. Also, it's noteworthy that teas vary considerably in their oxalate content. While black tea contains between about 4.6 and 5.1 milligrams per gram, green tea contains only a fraction of that amount --.23 to 1.15 milligrams per gram. The huge difference in oxalate content would at worst render green tea less harmful than black tea, even without its propensity to bind to calcium oxalate. And at best, by drinking green tea, you prevent kidney stones while reaping the benefits of the high catechin content -- including inhibiting tumor growth, regulating blood sugar, reducing cholesterol and triglycerides, and reversing the ravages of heart disease. As for the kidney stones, it's best to prevent them in the first place. You minimize the chances of getting stones if you drink enough water, avoid sodas and sports drinks, minimize salt intake, eat a balanced diet rich in vegetables and fruits, and refrain from overloading on oxalate-rich foods. And, of course, when it comes to kidney stones, nothing works faster or is more effective than a well designed herbal kidney flush formula. A good formula can start providing benefits in as little as one hour. Bruce, I was reading this article on Kidney Stones and the benefits or drinking green tea as it relates to getting rid of Kidney Stones....You might find it interesting....Be Blessed and Healed in Jesus name!! Whoa ! That may be one Amazing Page ! Appreciate it So Much, When i just Saved like a favorite your site, Hope that you construct extra material like that. First...I think you mean 5 mm don't you?. 5mm stones according to my urologist statically will pass so 6mm may be very difficult to pass causing extreme pain and other complications that accompany a blocked ureter. There are two ways to treat the stone, one is lithotripsy which is a shock wave therapy to break up a stone, the other is a laser therapy which is considered surgery and is more effective. Lithotripsy which targets one stone where laser can target many and make you stone free if you have multiple stones. Consult a competent Urologist to get advise on which method is best for you. The best food for prevention of all types of nefrolithiasis is dairy and patients with primary hypercalciuria should avoid oral intake of vitamin D.
You really should see a Dr. With an 8mm kidney stone. The biggest you can pass is 3mm and that involves pain. Just had my first known kidney stone removed with lithroscopy. No incisions with that. Mine was also 8mm. Apparently I have others that I am still producing so I am in process of finding out what I can eat. By the way there are 4 types of kidney stones so you need to find out what kind you have before switching up the diet. The advice here is for the most common or calcium oxilate kidney stones. You finished of by saying herbal kidney flush formulas work best. Could please tell me what these are and how they work. Which ones are best and where can you get them? 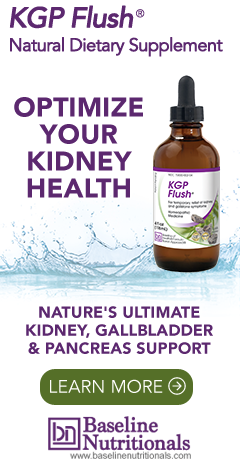 See above link for more on herbal kidney flush formulas. Click on our "Products" link to view where to buy any such formulas. I have a kidney stone. I think they have been caused by high levels of potassium that my nephrologist has got me taking. Did you see the last 2 sentences of the article? "And, of course, when it comes to kidney stones, nothing works faster or is more effective than a well designed herbal kidney flush formula. A good formula can start providing benefits in as little as one hour." Please cite your sources for the information in your article. I would like to see who did the research that shows that green tea helps to prevent calcium oxalate stones. I hope you can do this as I want to add green tea to my daily water consumption for prevention of these stones of which I have a history for making.. There are two studies referenced in this article, so I am not sure what else you need. Would decaf green tea work just as well? I believe coffee needs a relook. Instant coffee (who drinks it) & coffee beans (eaten) have high/moderate oxolate levels. Brewed coffee (as most people drink) have lower levels of oxoliltic acid. Low Acid coffee is avalaible & has even less oxolate. I have always read that greens tea, many herbal teas & Oolong tea are very low. (Univ. of Chicago Kidney Stone Research center & The American Kidney Foundation).